Mighty Men & Monster Maker. 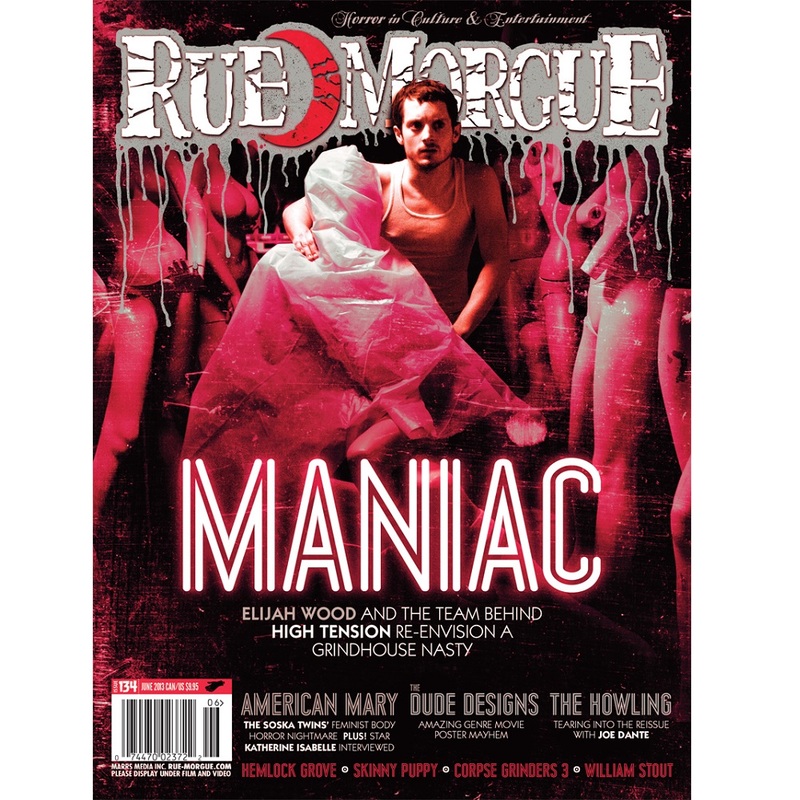 Pin director to remake… Pin; Monster mask pioneer Verne Langdon dead at 69; Former Leisure editor heads up new horror line. Weird stats and morbid facts. Sick Top Six: Grim Gravediggings. Rob Zombie Coffee, Zombie Jerky, Skinbag, and Nomskulls Cake Moulds. CineMacabre features Sharktopus, plus reviews of The Rite, Season of the Witch, The Tempest, Tetsuo: The Bullet Man, Vanishing on 7th Street, Harpoon: Whale Watching Massacre, Hide and Go Kill, Hide and Go Kill 2, and Skull Heads. Reissues features reviews of Vampire Circus (1972), Not of This Earth (1988), The Cyclops (1957) and Puppet Master Collection (1989-2010). Diary of a Madman (1963). The Curious Dr. Humpp (1969). Features Wrath of the Titans: Revenge of Medusa, plus reviews of Infestation #1, Detective Comics #873, Doc Macabre #2 of 3, Let Me In: Crossroads #2 of 4 and Vampirella #2. Spotlight: Michael Louis Calvillo. Library of the Damned considers the definition of horror. 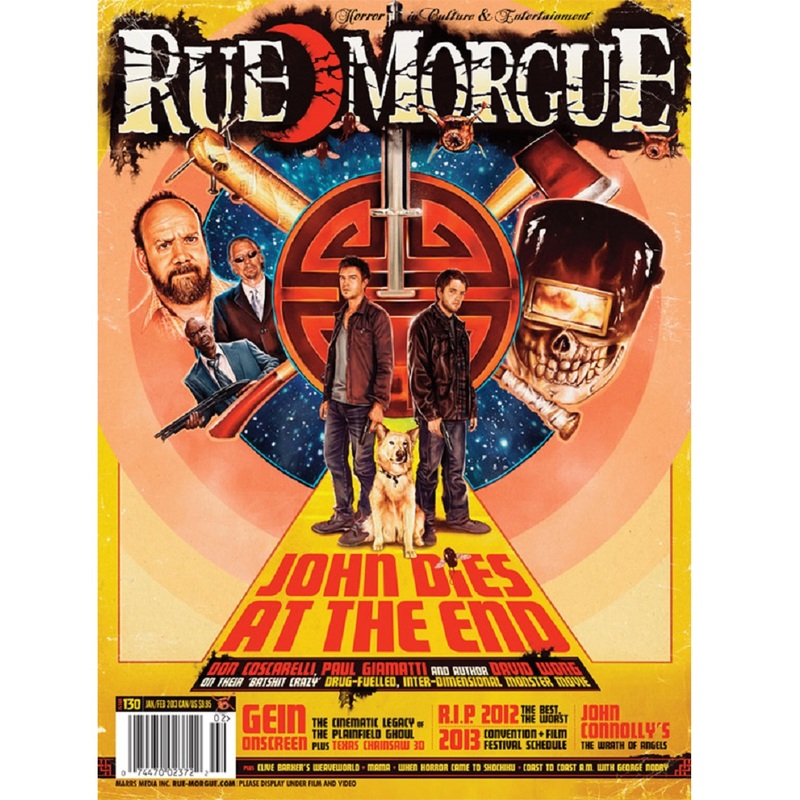 Plus, reviews of Zombie Holocaust: How the Living Dead Devoured Pop Culture, Jonathan Lethem’s They Live, Columbia Pictures Horror, Science Fiction and Fantasy Films 1928 – 1982, Lee Thomas’ The German, P.C. Cast and Kristen Cast’s Awakened, Sleeping Beauty III – Memorial Photography: The Children, Joe R. Lansdale’s Flaming Zeppelins and Dwight Christopher Kemper’s The Vampire’s Tomb Mystery. Museum of the Weird – Austin, Texas. Featuring the old-time death dirges of The Unsettlers. The Blood-Spattered Guide tunes into the sounds of The Tempest. Plus reviews of Carrie OST, Dead Rising 2 OST, Resident Evil: The Umbrella Chronicles OST, Fear Incorporated, Electric Wizard, Ghost, iVardensphere, Psycho, and Shroud Eater. Featuring reviews of Dead Space 2, Ghost Trick: Phantom Detective, Jekyll & Hyde, and FaceEater. Coven’s Witchcraft: Destroys Minds and Reaps Souls (1969). 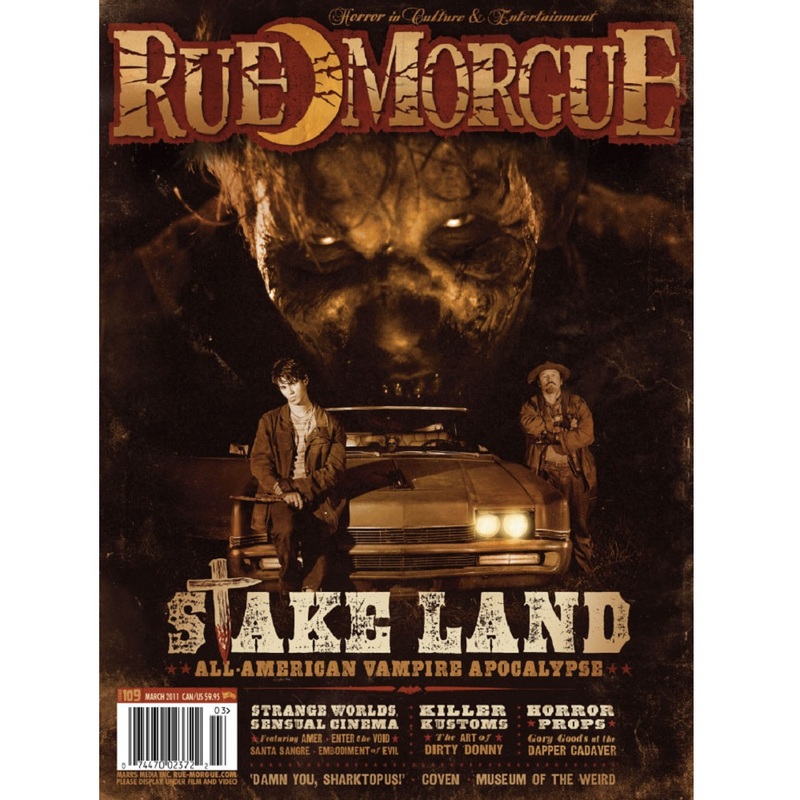 10 new subscribers will win a six-issue subscription to Rue Morgue Digital.